The objective of the EUROMET Project No. 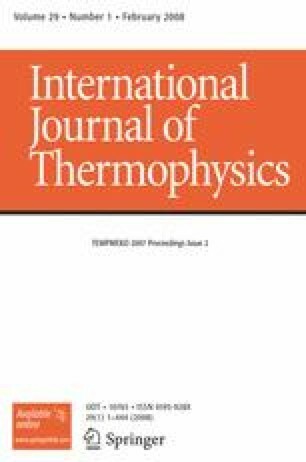 844 in the field of thermometry was the intercomparison of the freezing temperatures of the copper fixed-point cells (t 90 = 1084.62°C) of the participating laboratories by using Pt/Pd thermocouples. For most of the 13 participating laboratories, agreement of the freezing temperatures of the different copper fixed points within ±0.06 K was found. Furthermore, the results of the intercomparison show that Pt/Pd thermocouples are suitable for use as transfer standards for the dissemination of temperatures and to approximate the ITS-90, at least up to the freezing point of copper.